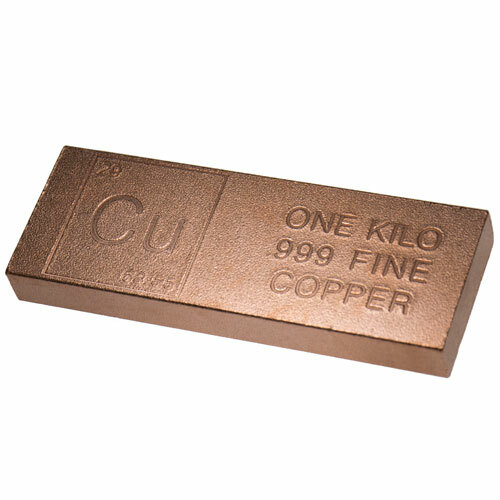 Copper is one of the oldest known chemical elements to mankind. In fact, copper is the first metal to be used by mankind, having origins that date back to 8,000 BC. Today, copper is often overlooked as an investment-grade precious metal in favor of gold and silver. In reality though, it is an excellent value for any investor or collector. 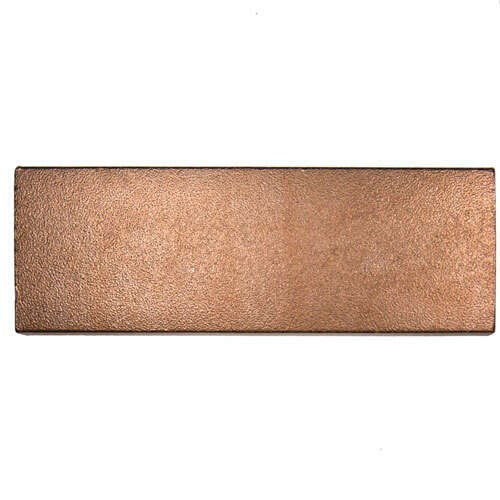 Today the 1 Kilogram Copper Bullion Bar is available for purchase on Silver.com. Ships in plastic to protect its condition. Consists of One Kilogram of .999 fine copper. Obverse side of the bar features the Element design. Minted privately in the United States of America. Copper was first used by mankind in 8,000 BC, but it was not smelted from its ore until 3,000 years later. Copper was, in many ways, the first metal to mark mankind’s advancement. Not only was it the first metal used by humans, it was the first smelted, the first to be cast in shapes and molds, and the first to be alloyed with another metal on purpose, in the creation of bronze. Today, copper is commonly found in homes and various other industries. A soft, malleable metal with high electrical and thermal conductivity, it was popular in the use of electrical wiring and water piping. It is also an essential metal to living organisms as a trace dietary mineral with trace respiratory enzyme complexes. The reverse face of the bar has no engravings. Both sides of the bar feature a rough, matte finish that give the bars a distinctive look and feel. Each of these bars is produced by a private mint in the United States. Every bar listed here with Silver.com is in brand-new condition. 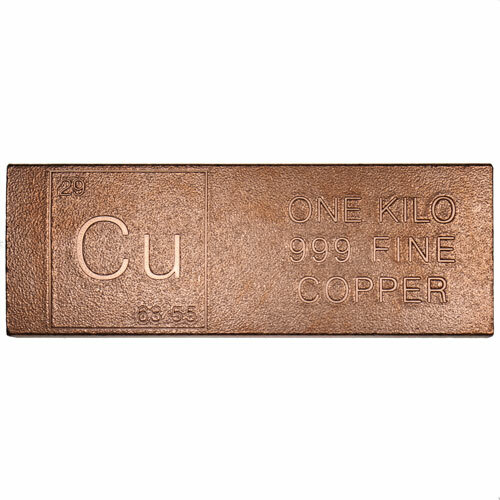 If you have any questions about the 1 Kilogram Copper Bullion Bar, please feel free to contact Silver.com. You can reach us on the phone at 888-989-7223, connect with us live online using our live web chat, or send us an email with your inquiries.